Quality sleep means more than just feeling refreshed the next morning. In fact, sleep actually impacts many aspects of our lives, from what we eat, to how we act, to our overall health. Because of that, sleep apnea may be affecting more than just your rest. 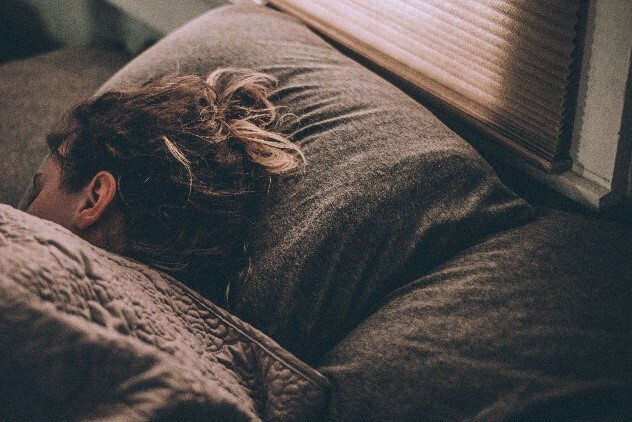 Here are a few ways why improving your sleep can benefit your day-to-day life. Sleep directly impacts two hormones that control the desire to eat, and to stop eating. These hormones are called leptin and ghrelin. Leptin is found within adipose (fat) cells, and its role is to tell your brain that you’re full by suppressing hunger. Ghrelin is a hormone that is found within the stomach and tells your brain that you’re hungry, spiking just before you eat. Getting adequate sleep will help ensure these two hunger-based hormones stay regulated, which can help prevent you from over- or under-eating. Did you know that getting a good night’s rest can help minimize arguments with your significant other? Most people who are lacking sleep (even an hour or two) may find themselves to be less patient and more irritable. However, here is something even more fascinating: better sleep can improve the productivity and civility of your arguments. A study published in the Psychoneuroendocrinology journal by an Ohio State University research team examined 43 couples who resolved disagreements while they were lacking sleep. The findings demonstrated that when both partners were running on less sleep, their arguments were more hostile compared to couples who had one partner with more sleep the night before. The study also showed that when just one of the partners got sufficient sleep for consecutive nights, the conflict was much more docile. This same study went even further, showing that lack of sleep correlated with a higher inflammatory response following arguments. Chronic inflammation has been shown to be a factor in many diseases, including heart disease, cancer, diabetes, and depression. Even just one hour’s difference in sleep showed an increased inflammation response. In addition, sleep apnea has been linked to higher risk for stroke, heart disease, and many other long-term complications. Dr. Miller’s sleep apnea treatments can help you start getting the rest you need to improve your health. Scientists have discovered that the brain needs one hour offline to process every two hours spent awake and taking in information. Though the exact mechanisms behind sleep and cognition are still being studied, proper sleep allows your brain to solidify any learning that you have done that day, allowing you to utilize that information moving ahead. If you are suffering from insufficient sleep due to obstructive sleep apnea, we can help. Our team has the training and compassion to provide you with the treatment you need to ensure better sleep, starting today. Contact Dr. Paul Miller today to schedule your sleep apnea consultation.